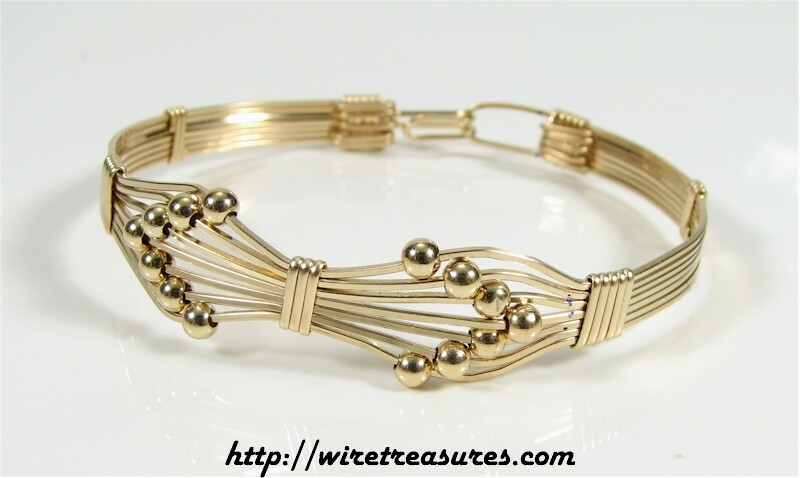 Here's a pretty and bold bangle fashioned from 14K Gold Filled wire. It resembles a bow tie, with fourteen 14K Gold Filled 3mm beads accenting the design. You are visitor number 5,355 to this page.